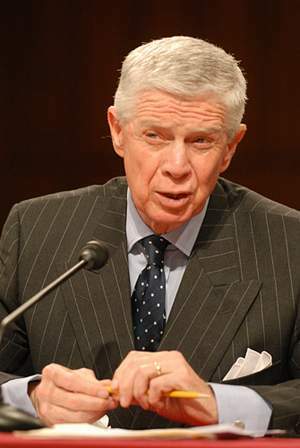 An interview with Joseph P. Hoar conducted March 13, 2012 by George Gavrilis for the Columbia Center for Oral History, Rule of Law Oral History Project. General Joseph P. Hoar was the Commander in Chief of United States Central Command [CENTCOM] from 1991 to 1994, when he retired from the Marine Corps. Hoar went on to found a consulting company, working primarily with businesses in the Middle East and Africa. He was an early and outspoken critic of the Bush administration’s military invasions of Afghanistan and Iraq, as well as the administration’s interrogations of terrorist suspects. Highlights of this interview include discussions of Hoar’s experiences of working in the Capstone Military Leadership Program in the Middle East, the continuing U.S. military presence in the Middle East, and the political issues surrounding the closure of Guantánamo.